Founder of the Lakes Distillery, son of a renowned whisky MD for Chivas-Seagrams’ & one part of a father & son team who founded Isle of Arran Distillers. Hi Paul, thanks so much for agreeing to this interview. I am really looking forward to learning about this new exciting distillery, but first let’s learn a little more about you? With your dad working in the whisky industry what are you earliest whisky memories? Whisky was a part of my life from birth, and I remember at a very young age visiting distilleries and being entranced by the gleaming copper stills. There is something magical about a distillery, and to me they are still as wonderful now as when I was young. Was it always expected that you would follow in his footsteps? No, not at all – my father (who is still going strong at 90!) didn’t push me at all. My first job after graduating was with BP – so I might have ended up in the oil industry rather than whisky. 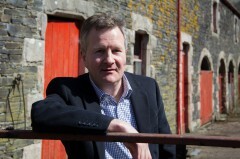 What prompted you to join forces with your dad and form the Isle of Arran Distillers in 1995? It was my Dad’s idea to set up Arran Distillers, but when we started he was in his 70s, so some young energy was also needed to make it happen – which I could supply. I had always known that the whisky industry was where I would end up, and although I had a great time at BP (I had been working in Poland and Russia in the years after the Berlin Wall came down setting up BP’s marketing businesses, which was fascinating), it was an easy decision to take the plunge. When we set up Arran Distillers I am sure most in the industry thought we were mad, as there hadn’t been a new independent distillery set up for decades. But as we foresaw, the malt whisky market has gone from strength to strength, and now new distilleries have opened all over the world. What has been you biggest challenge throughout your career to date? Setting up a new business, and especially a new distillery with its need for a lot of investment, is certainly not easy. So setting up Arran Distillers and now The Lakes Distillery have been huge challenges, but we have succeeded. What would you have done if you hadn’t gone into the whisky industry? I might have stayed with BP and been an oil man for my career, but I always knew I would go into the whisky industry. There are great people involved, and I have made some great friends across the world. Why did you decide to start your own distillery, The Lakes Distillery? I saw there was great potential in opening up a new distillery – nowadays I am certainly not alone as many have opened in many countries. But the Lakes as a location offered something unique. It gives us a great brand known across the world (The Lakes), it is a stunning landscape that looks like whisky country, there is ideal water, and we have huge tourist potential for our bistro, tours and shop. Our site is also wonderful – an old Victorian Model farm in an idyllic setting. We really do have one of the most beautiful locations for a distillery in the UK. How difficult was it to get the right team around you, and how much of an impact does that have on the Distillery? The team is absolutely critical, as this is far too complicated a business for me to do it by myself. And we are lucky to have some outstanding people involved. Alan Rutherford, former production director at Diageo (responsible for all their scotch whisky distilleries) is on our board, and Chris Anderson, who has spent a lifetime making whisky and previously managed all of Dewars’ distilleries, is our Master Distiller. We also have a very strong board, and a great team both in the distillery and in the rest of our business. There have been several new distilleries across the whole of the UK, including several in England, did this prompt you to start up, or did you already have this in the pipeline, what makes this distillery unique? The fact that there are other distilleries in England I see as a strength, as we are together creating a new whisky region. However, this didn’t really influence me – it was the potential of a Lakes distillery being in such a special location, in being able to produce outstanding products, developing strong brands and having a significant tourism business that were the attraction. 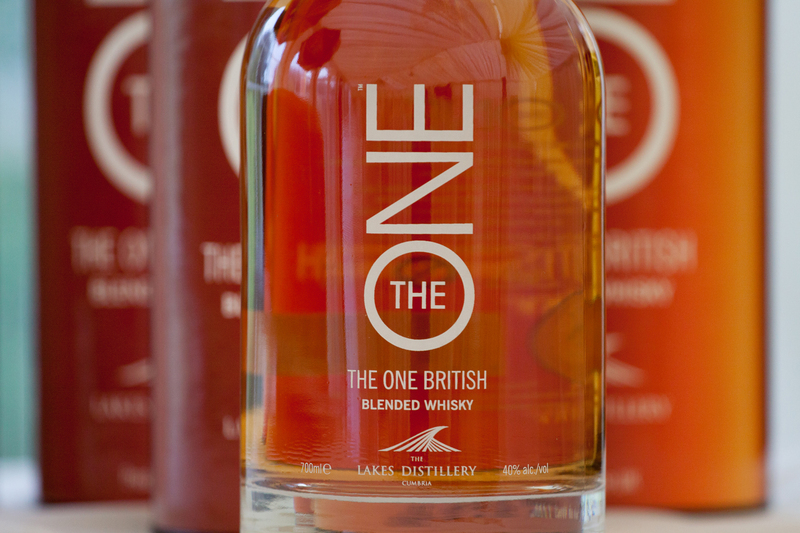 You have the first British blend, aptly called The One, why did you decide to make this alongside both gin and vodka? I have always thought a high quality blend can be a great whisky, and has real potential in the market. I had the idea to put together the first British blend, which hasn’t been done before, and I have to say I am delighted with what we have produced. It tastes delicious, and has been very well reviewed – and we picked up a silver in the IWSC awards in our first year. I would say the design for The One is quite contemporary, is this deliberate? Yes, very much so. We are keen that our brands don’t look like traditional spirits, and I think we have achieved this – with a very eye catching design. We want to appeal to male and female, young and old across the world. What is the profile of The One? It is a high quality blend bringing together the best of British – ‘Better Together’, you may say! Very smooth, a little spicy, with a peaty after taste, it has been very well received. We have had so many people who have told us that they don’t like whisky then trying The ONE and saying that they love it. It is very accessible. You gave 60 whisky enthusiasts the chance to own a specially produced sherry cask, why did you decide to raise capital this way? The idea of our Connoisseurs’ Club is to set up an exclusive club for whisky lovers that not only provides some very special whisky in a very special sherry cask, but also some wonderful experiences – members can come to the distillery, make their own whisky, fill their own cask and then attend annual tasting dinners with other members to see how their whisky is maturing. The club is very much part of our general business rather than a means to raise capital – we have had great success in otherwise raising the funding required for the project. We also have our Founders’ Club, where members will receive a set of 10 bottles plus minitaures over 10 years taken from the first 100 casks ever produced at The Lakes Distillery. Have all 60 spaces been filled or are there still opportunities? The response has been great from individuals and companies and memberships are selling fast, but we do have some left. So if anyone is interested, do get in touch soon! It is a real opportunity to be a part of our exciting development. Will you release the single malt as soon as it comes of age, or will you let it reach a certain age? We will only release The Lakes Malt when we feel the quality is right. We may have a commemorative 3 year bottling (when it first becomes whisky) but the main bottlings will be some time after that. However, we have spent a lot of effort on our wood policy, and with some smaller casks and some new wood we expect to have a great tasting whisky in around 5 or 6 years. Being south of the border, we also aren’t restricted in the wood we use (as is the case in Scotland), so we are planning to experiment with woods such as chestnut, maple and birch. These may also mature more quickly – it will be fascinating to see how the whisky develops. What will your role within the Distillery cover on a daily basis? We have many sides to our business – production, brand development, marketing, sales, our online business, our clubs, the bistro, shop, tours….so as MD my life is never dull. But we are building a great team here, which makes my life a lot easier! You have plans to keep the Distillery (@LakesDistillery) very “green” including using a biomass boiler, how much of your energy will come from “green” sources? We have set up to be as green as possible, and we are using a biomass boiler to heat the buildings. We did look at using biomass for the production, but at our relatively small scale the costs were just too high, so we are using oil. However, in the rest of process we are recycling water, using heat recovery and have the most efficient state of the art plant, so our carbon footprint is kept to a minimum. Is the Distillery still on track to open in December? Production of our spirits will actually start in late October/early November, with the bistro, shop and tours opening in mid-December. And we are on schedule! What will the visitors centre be like? Do you expect to attract much passing tourism? We are very excited about this – we think it will really be the best in the UK. The tour has lots of audio visual excitement, the distillery itself is beautiful, the warehouse will be really atmospheric filled with casks, and our tasting room will be a very special place. We also have our 130 cover bistro and unique boardroom (private dining for up to 34) which will be overseen by Terry Laybourne, the first Michelin star chef in the north of England. It will be a great place to visit – not only for passing tourism, but as a destination in its own right. We are aiming to be one of the main attractions in the Lakes. Spend time with my wife and 3 teenage kids, play football and tennis when I can (even at my age! ), and watch my football team St Mirren when I can (rarely a very happy experience). So, your most recent email was interesting, “Better Together”, any backlash? No, only positive! Our email had a great reaction – The ONE is better together, and I think this applies to the UK as well. Scotland would have been OK with a ‘yes’ vote, but I think ‘no’ was the best outcome. The whisky industry is going through a boom at the moment, will it continue? It’s already showing signs of slowing, although at the premium end (which is where we are positioned), I think growth will continue. Consumers continue to look for new, different experiences, and the newer brands like ours can satisfy that demand. The internet and social media also allow the smaller players now to reach a global audience, which was impossible 20 years ago. So is “The Lakes Malt” a working title? We have decided that our single malt will indeed be called ‘The Lakes Malt’. I think it is potentially a very strong brand. What do you expect the flavour profile of this malt to be? It will be lightly peated, but we will have to wait until production starts in November to find out its exact character. It will be an exciting day at first production! We also will have a huge focus on the quality of casks we use, which will have a big influence. Tell us a little bit about the Gin and Vodka? The Lakes Gin is being launched fully later this month, and is made in our very cute 1000 litre pot still. As well as some traditional gin botanicals, it is made with botanicals from Cumbria, especially local juniper (Cumbria is the main area in the UK where juniper is grown). It also includes bilberry, hawthorn, meadowsweet and heather. We have done initial runs of the gin and it is delicious. The Lakes Vodka will be released in November, and is also made in our beautiful small pot still – so in the traditional way as was the case centuries ago. It uses grain spirit made from 100% English wheat (as is the case with the gin), and is triple distilled with water from the river Derwent. What next for The Lakes Distillery? It will be a very busy few months as we start production, open our bistro, shop and tours, and launch our Lakes Gin and Lakes Vodka. And in 2015 we will be launching our products in many countries worldwide! That concludes our interview Paul, thank you so much for your time. 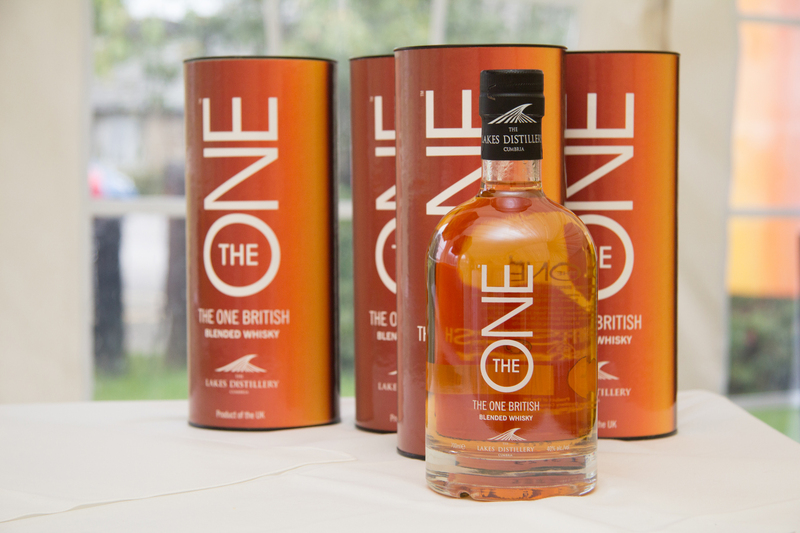 Stewart and I are now going to review, the first British Blend, The One, I look forward to following the distillery and its progress and can’t wait to see how the wood influences turn out! I’ll keep an eye out for the vodka too!